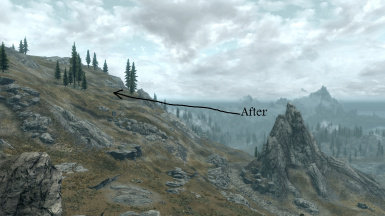 Mod author deserves Oscar for modding. Looks great and performs great. Excellent work. 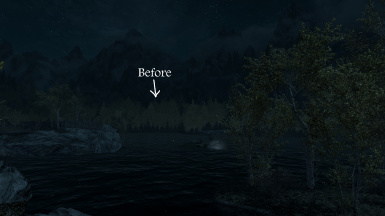 Looks Great in Skyrim VR! Just gonna post this for Rennn.To let the creator know what people though of your mod. Don't you hate it too when websites always change their links / structure? Agreed awesome mod wish I would have found it sooner!I used to deliberately not look off into the distance b/c of how horrible it looked, now I find myself looking off in the distance! 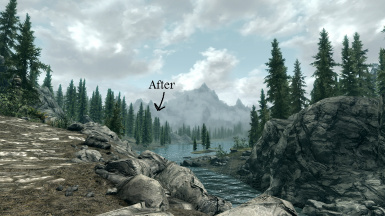 Awesome mod and it seems as it states zero performance loss! Thanks so much for this mod, it's working great for me. I wish I'd found it a long time ago. I see that people say its not compatible with SFO, even the author say so. Altho, i am using both atm, and I have no problems what so ever. 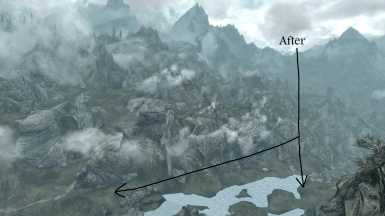 IN mod organizer, it tells me that SFO overrite this mod. 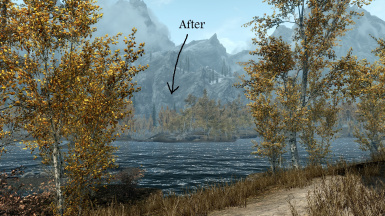 That might be, but I still get the AWESOME effect from this mod - no popping, no gray/white trees in the distanse. 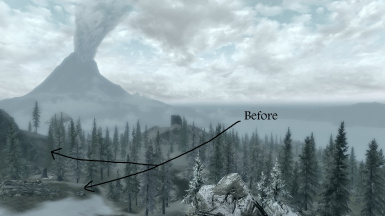 It was a life-saver, this mod, made wonders for me. Before I installed this I had horrible distant textures, cut trees, gray/white trees, blur, weird bugs all over. 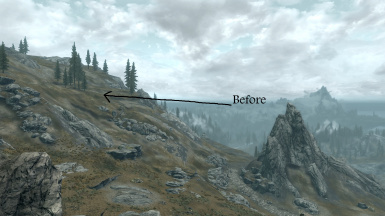 This fixed it all, and still provide SFO`s good textures. 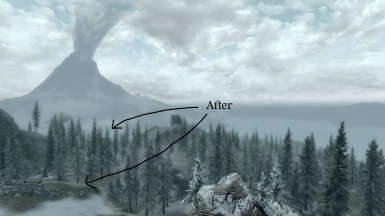 SFO is "incompatible" because SFO and Detailed Tarrain and Tree LoD both come with the file "TamrielTreeLod.dds". 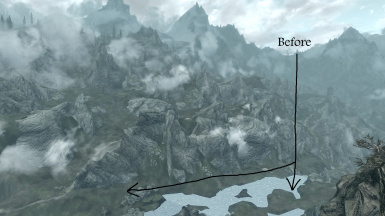 This file is responsible for your complete tree LoD in Skyrim, so if you would use this mod's LoD instead of SFO's, you won't have the SFO LoD, which doesn't fit SFO and results in popping. However, the ground noise texture remains untouched because SFO doesn't come with textures for that!